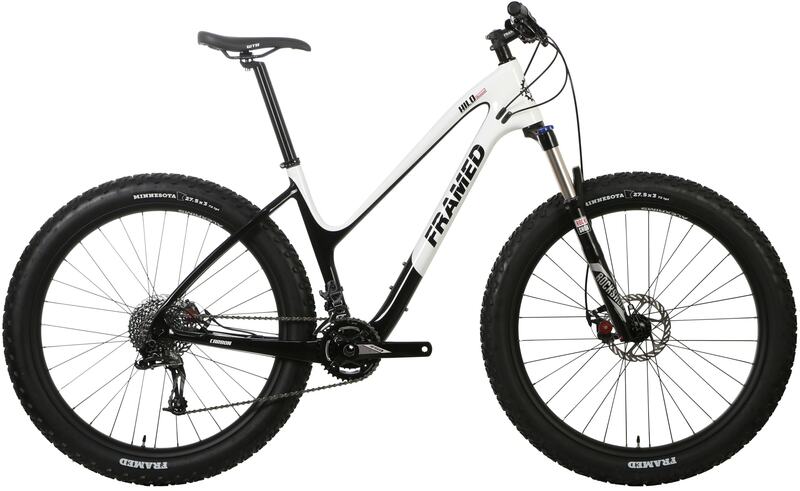 The new Framed Carbon Hilo opens more paths than previously thought possible. 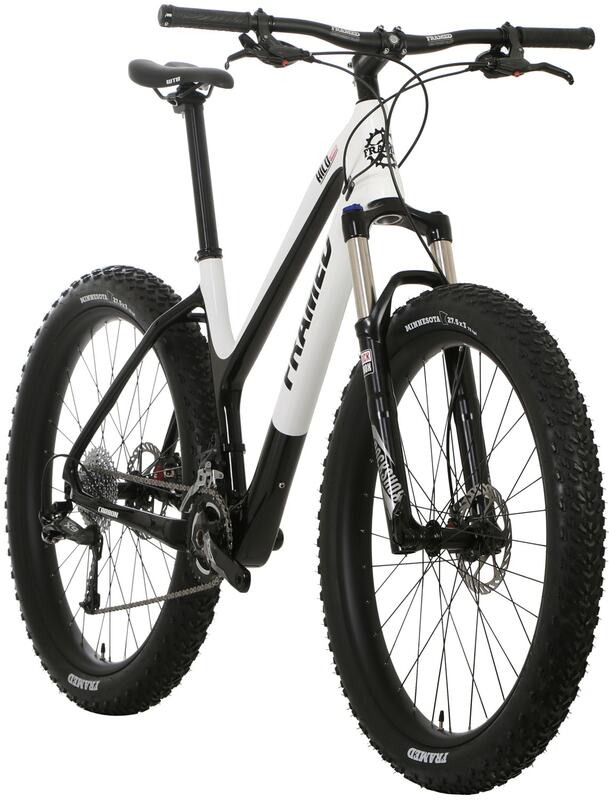 With its user friendly over easy design and comfortable 3” tires, this bike straddles the best of many worlds. 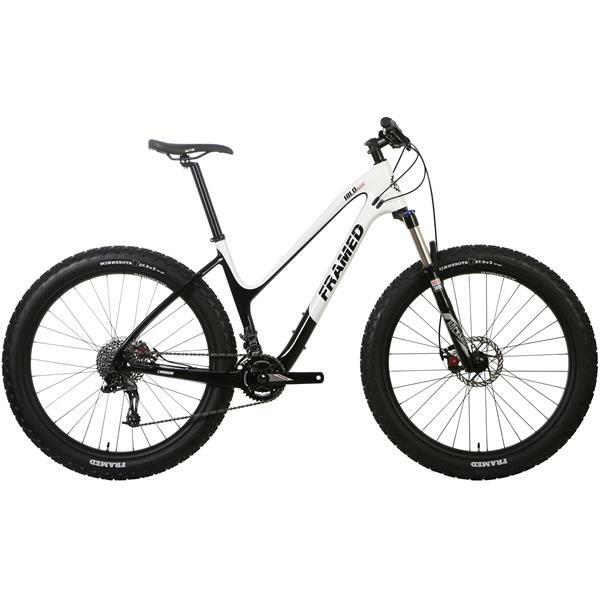 Perfect for the trail but equally adept at riding around town, the Framed Carbon Hilo is the perfect all purpose bike for the modern user. Available with a wide array of options to fit each user’s specific wants and needs. 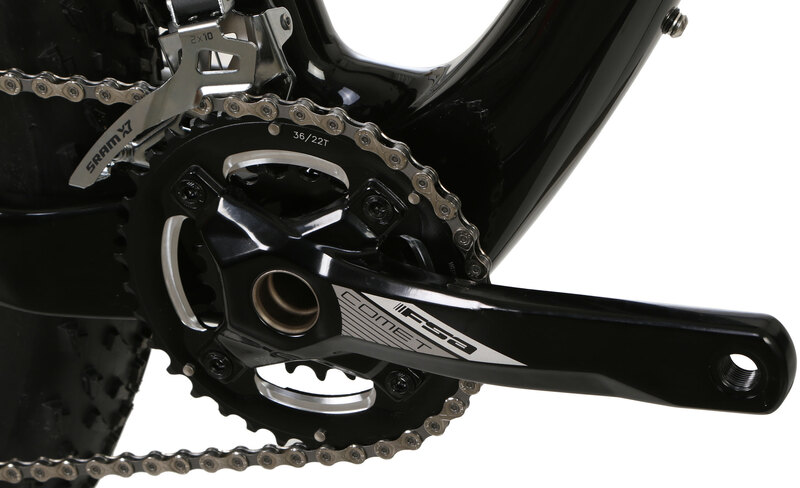 SRAM X1 1X11 - From SRAM X1 comes the integrated drivetrain engineered in Germany for every rider and every trail. The simple, smart and synchronized design delivers confidence in the face of any terrain—from cross-country racing to all-mountain adventure. 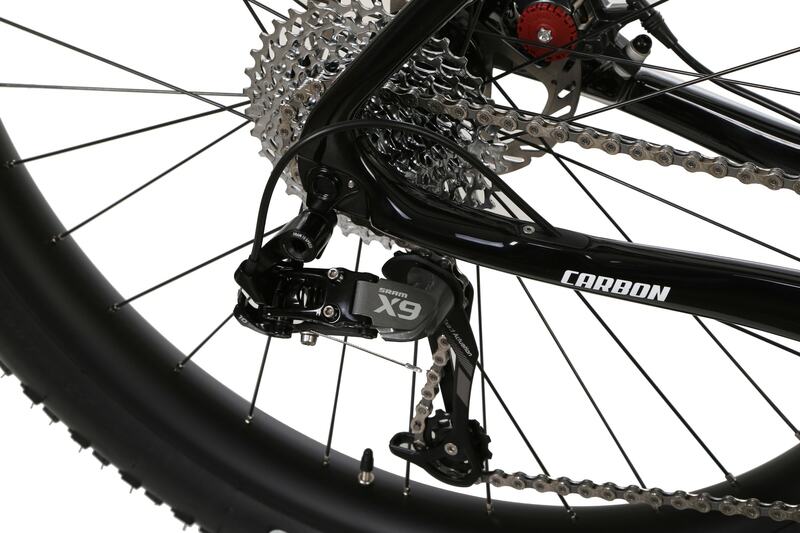 With our super-wide 10-42 gear range and multiple chain ring options, it’s the universal drivetrain for experienced or new-to-the-trail riders. Featuring our X-SYNC™ chain rings, optimized MINI CLUSTER™ cassette and dependable X-HORIZON™ rear derailleur, X1 puts the power of the SRAM 1X philosophy into every ride. SRAM X1. LIMITLESS. FA50 27.5” Wheelset - This robust 27.5+ wheelset was created using the newest standards and features ensuring it will remain highly compatible for as long as they are in service, which is to say, a very long time. At the heart of this wheelset is the PUB BOOST high actuation hub laced to Alex MD50 rims using DT Swiss spokes. These wheels are assembled by hand in the USA by experienced mechanics who love to ride bikes, and love to work on them. High quality assembly combined with components from evolutionary leaders in the wheel industry, these wheels won’t leave you hanging. ROCKSHOX REBA Fork - The Reba is no prima donna. Even though it’s available with a host of race-worthy technologies, this cross country fork doesn’t need the promise of a podium to give its all. It expects to be ridden every day. Which is just what you’ll want to do once you experience its supreme versatility. From quad-burning climbs to grin-inducing descents, the Reba is the ultimate trail warrior for daily duty. 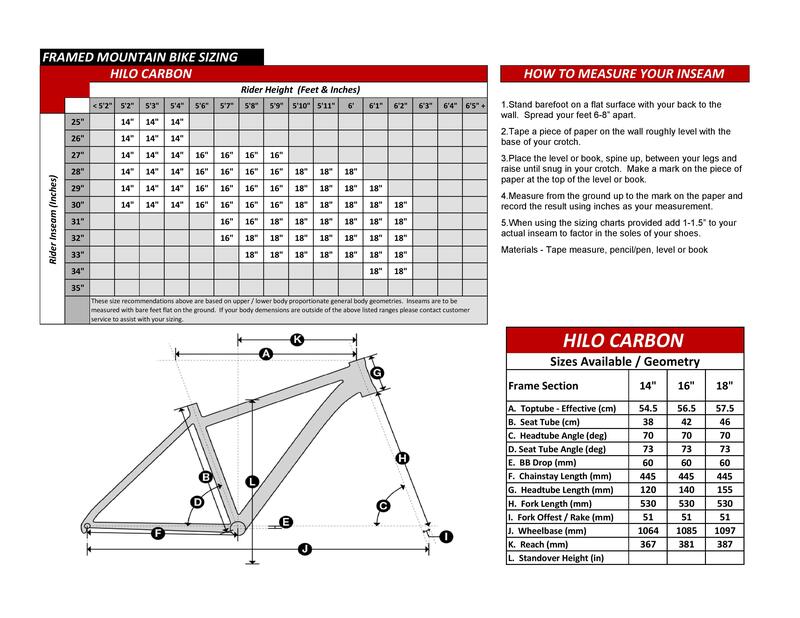 Frame: FRAMED High Modulus Carbon Fiber Frame 148x12. Integrated headset, replaceable derailleur hanger, 1 water bottle cage brazeons, internal cable and housing routing. small bike with low standover for my 5'2" wife. best mix of components at the price. travel on the fork leaves something to be desired, though. will probably end up putting 120 mm air spring in the fork. also, will add dropper post and convert tires to tubeless.